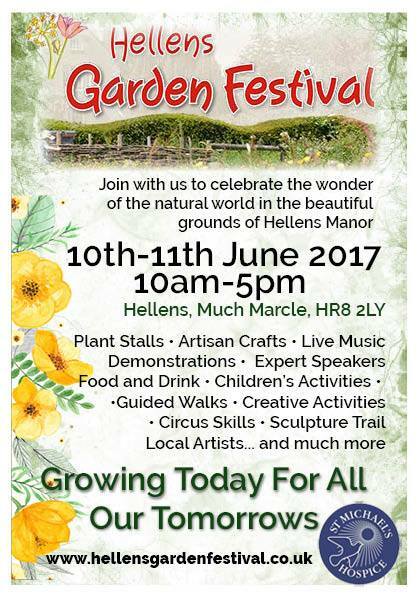 Don't forget it's Hellens Garden Festival this weekend! It's a great festival with loads to do for adults and children alike and all for a truly amazing cause. If you come on Sunday (2PM) you can even come and see me do a talk on "gardening with children"